As football becomes more and more integrated into American culture, it should be expected that we’ll be treated to ever more frequent mash-ups between the sport’s biggest stars and the star names from the world of entertainment. Like Kobe Bryant showing up in the latest EA Sports’ FIFA 16 ads, actors doing segments on the Men in Blazers show and Drake showing up and ruining everyone’s party. Yet despite knowing all that, it still tickled my fancy when Kevin Hart showed up in the latest ad for H&M’s David Beckham line. Just look at him, standing there beaming like an idiot next to super serious, and slightly disgusted Goldenballs. That alone makes this worthy of the Pic of the Week honors. But even better is the nearly seven minute long video (below) that accompanies it. The future-Sir David even seemed a quasi-decent actor in the thing too — either that or he’s actually playing this thing how he would treat the entire experience. 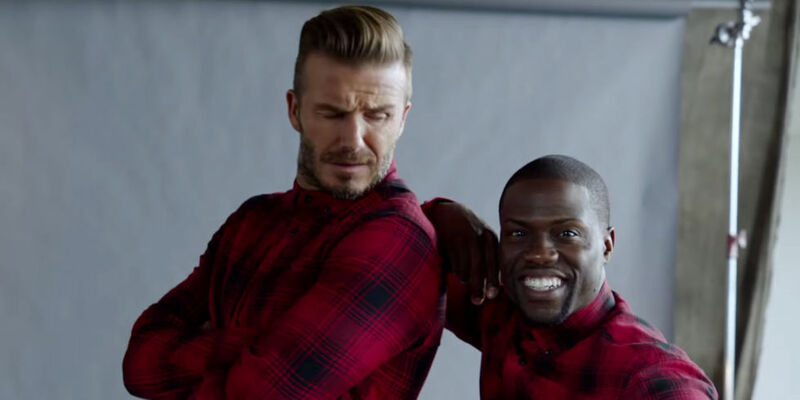 I now want all of that clothing so I can be as cool as David Beckham/Kevin Hart — damn it, marketers!! !